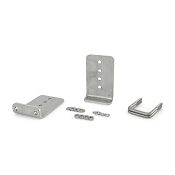 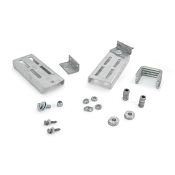 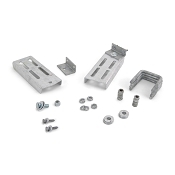 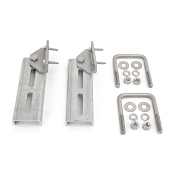 Vertical L Types - Typically used in pairs to Mount post style Bunk Boards (4" x 8" Boards) (3" x 6" Boards) Mounts to your trailers 3" x 3" Cross Beam using Square 1/2" x 3" x 4 5/16" U-Bolts and then mounts the Bunk board using two 1/2" Diameter Bolts. 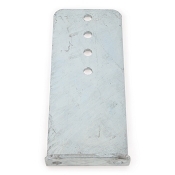 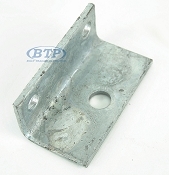 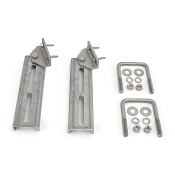 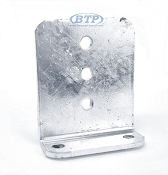 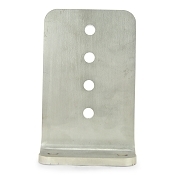 Swivel Top Bunk Brackets - Typically used to mount 2" x 4" or 2" x 6" Boards at customer angles to support your boats hull. 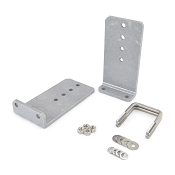 Will mount to your trailers cross beam with either square U-Bolts or through bolts depending upon your crossbeam dimension.